Today, a neighbor said we’ve got beavers. No smartass reply welcome. The guy was serious. Some trees were gnawed, and might fall. We live near water. Nice to sit at the end of the day and look at this water with trees reflected in it. In one of the trees an American Bittern stares down at you. This wading bird should be in reeds, but it’s up a tree. Birds do what they want. There are orioles and tanagers in these shoreline woods. Phoebes, too. They like to hunt over the water and return to a hanging branch. You see Belted Kingfishers sometimes. And Red-winged Blackbirds very often. You might think these are so common they’re boring. But they never get boring. None of this stuff gets boring. 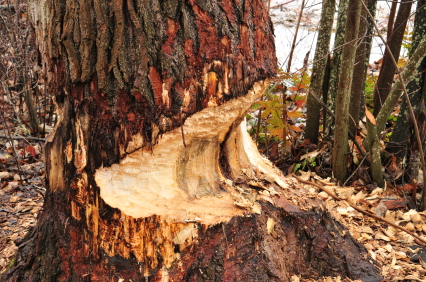 The neighbor said the powers that be in this community are thinking of hiring a beaver removal service. “Humane relocation” guaranteed. A claim that makes your BS detector go off. But if more trees get chewed, it could come to that. Leave it to the beavers. Let’s hope they relocate on their own. You are currently browsing the Two-Fisted Bird Watcher blog archives for August, 2013.